Pure storage A/NZ channel sales manager, Andy Milburn, has stepped down from his role. The company’s A/NZ managing director, Mike Sakalas, confirmed Milburn’s departure and said regardless of his exit, the company will continue to focus heavily on the channel, its alliances, and partners. 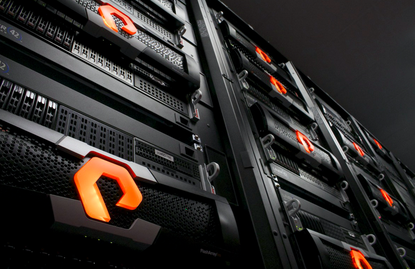 “Andy Milburn has left his role as channel sales manager A/NZ with Pure Storage," he said. "Our strong channel and alliances team will continue to deliver outstanding service and support to our partners across the region." Milburn started his stint with Pure Storage in February 2014 and held that role for more than two years. Before Pure Storage, Milburn worked at EMC within its A/NZ back-up and recovery systems division. He was in the company for almost three years. Prior to that, he was at CommVault in a number of roles, most recently as Asia-Pacific an Japan alliances director. Milburn was in this role for almost four years, and was also its A/NZ country manager and channels director between July 2007 and April 2011. Milburn also previously worked in BEA Systems (now Oracle) and Energis.